Hey! I am faster than you…eeeeks….maybe not! 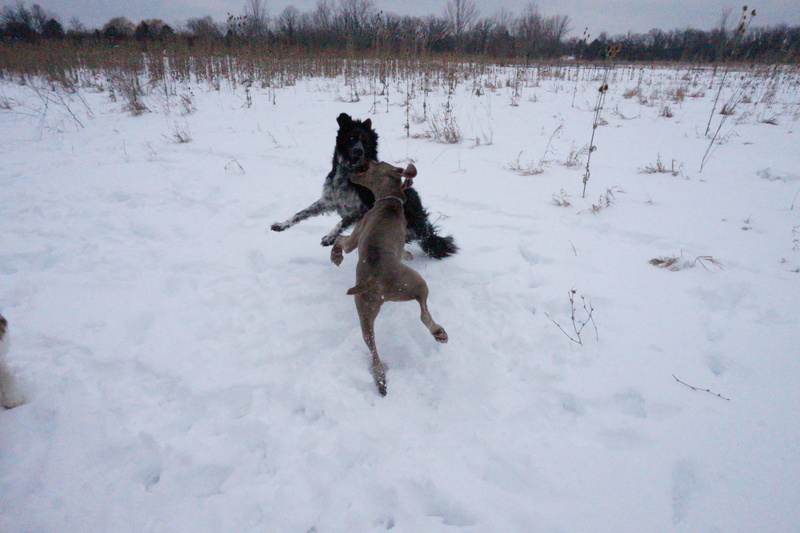 Whew…didn’t think I was going to survive my most recent foray to the Dog Park. 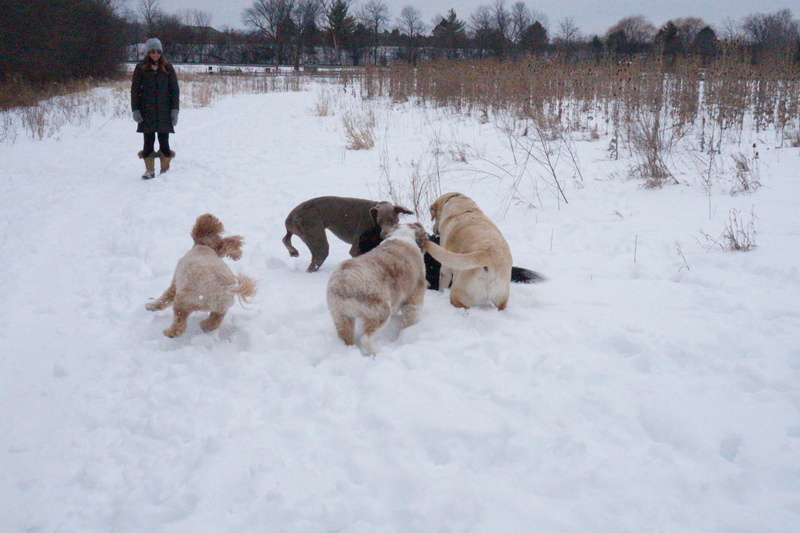 My paw-selected fight club member of the day was a very spirited Weimaraner who had a posse of: an Aussie with a new puppy-cut, a chubby yellow Lab, and a chatterbox Spaniel. While the Aussie and Spaniel were content to watch, the chubby yellow Lab like to come in after the Weimaraner took me down and LAY across my Border collie-ness…what a load he was! This Weimaraner is strong AND fast! FUN! 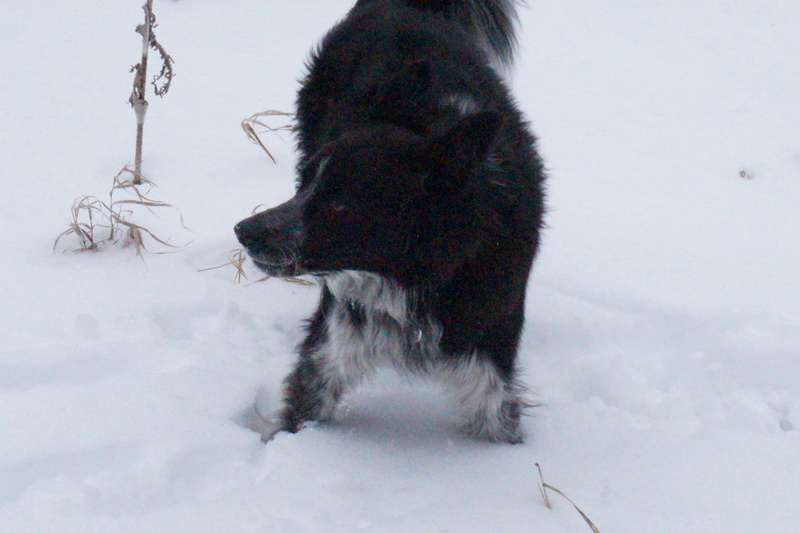 This entry was tagged border collie, border collies, dog behavior, dog rescue, herding dogs, life with a dog. Bookmark the permalink. Hey Mag! Your kind of weather today…8 degrees and windy….GROAN. Magic: I am sure that you could outrun them if you really wanted to…..at least you could jump over them! Looks like fun on a day with sunshine……and a wind chill of 30 degrees…..